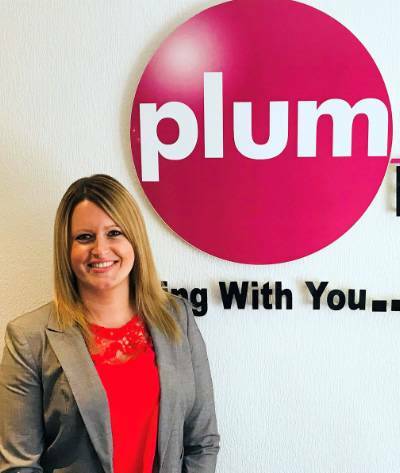 The Directors at Plum Personnel are delighted to announce that Recruitment Consultant, Lindsey Atkins is now heading up the Temporary Division at Plum Personnel.Since starting her career in recruitment 12-years ago with a well-known national recruitment company, Lindsey has excelled and enjoyed tremendous career progression. Her wealth, breadth and depth of knowledge and experience of commercial recruitment for temporary staffing has gained her an enviable reputation with clients and candidates alike across Solihull, Birmingham, Coventry and Warwickshire. Research shows that the local temporary market is buoyant and looks likely to continuing to grow. With the uncertainty of Brexit some employers are reluctant to add to the permanent headcount and are therefore looking for a more flexible option. Employers are recognising the benefits of temporary staffing as a cost-effective solution to either fill a skills gap while recruiting for a permanent member of staff, or to complete a short-term project as well as providing holiday and sickness cover. Lindsey will be working with clients in both the NHS and private sectors across office based roles including Administration, Customer Services, Finance, Human Resources, Sales and Marketing. Susie added, “Lindsey is a great fit with Plum Personnel’s ethos and culture. She is looking forward to being a key player in providing high quality temporary and interim recruitment solutions to our clients." Lindsey can be contacted on 0121 705 8157 or by email on lindsey@plum-personnel.com to discuss how she is able to fully support temporary and interim recruitment needs.